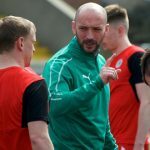 Barry Gray praised his players’ mental toughness as Cliftonville defiantly hit back to book their passport to Europe in yesterday’s dramatic Europa League Play-Off Final at Solitude. 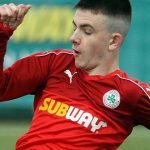 Two Rory Donnelly goals to the good against Glentoran, the Reds were rocked when their visitors produced a quickfire double to swing the momentum their way before Gray’s charges summoned up one final flurry to bank victory courtesy of Joe Gormley’s late winner – an achievement the boss believes is all the more remarkable for coming on the back of Tennent’s Irish Cup Final heartbreak seven days earlier. “The players will know this means a lot coming from me because they don’t get credit from me that often, but their response from last Saturday has been incredible,” he says. “They could have felt sorry for themselves after losing the Cup Final. They could have gone into Wednesday night (against Ballymena United) and used excuses about being tired. They could have given up when the 2-0 lead disappeared against Glentoran, but they kept coming back every time. Quickly reflecting on his first campaign at the helm, Gray adds: “It’s the most difficult and testing season I’ve ever experienced. 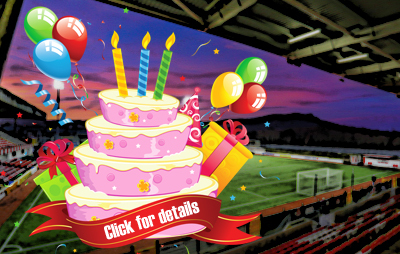 I’ve learned more in one year at Cliftonville than I had in 15 years of management before that. It’s had everything – and so did this game. 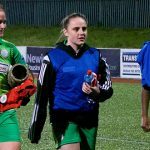 “When Glentoran got the first one, I said on the sideline that the second one was coming. I know it might seem like a strange thing to say but I was hoping the equaliser would come sooner rather than later. “If they’d got it in the last minute, with the week we’ve had, that would have been tough to take and it would really have knocked it out of us.As it happened, they got it with just enough time left for us to go and get the winner and I’m delighted that we did.